We've tested 4 Bluedio headphones. 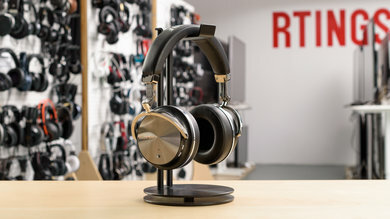 They're a mid-range brand that makes unique and feature-packed headphones at an affordable cost. Affordable Headphones. The Bluedio headphones are affordable for a number of features they offer. They have cheap over-ear wireless headphones. They even have headphones that support different room effect apt-X and micro sd cards for onboard storage. This makes them one of the only brands to offer these kinds of features, especially at their price range. Unique Designs. Most of the headphones from Bluedio have a unique design with multiple bold color schemes and form factors that are rarely seen from brands. Plasticky Build Quality. Some of the higher priced Bluedio headphones have a better build quality in terms of the materials used. Poor Headphone Variety. Bluedio offers unique design but does not have a lot of headphones in their catalog as some of the bigger brands in audio. Subpar Sound. We have yet to test the full lineup of Bluedio's headphones, but for now, the ones we've tested have had a poorly balanced sound that favors an overwhelming bass rather than an accurate audio reproduction. Overall, Bluedio makes some of the cheapest yet most feature-packed headphones available on the market. They have up-to-date Bluetooth versions and profiles that even support the apt-x codec. They also have very affordable wireless headphones, and their pricier models feel well built. However, they don't have the biggest catalog of headphones, their budget models feel cheap and plasticky, and their sound quality has been subpar at best. Bluedio has a good naming convention for their headphones but does not have the biggest lineup. Turbine = The main lineup for Bluedio that covers mostly wireless over-ear headphones that vary in price and build quality. Air = The trendy, lightweight and fashionable lineup that is geared towards casual listening and style. Faith = The noise canceling lineup with a more premium design. Vynil = Similar to the Turbine lineup but with more premium models that have bigger drivers. Electrostatic = The audio-oriented lineup that has Bluedio's priciest headphones and a multiple-driver technology to provide a unique sound. The best Bluedio headphones that we've tested so far are the T4 (turbine). They have a surprisingly good sound quality compared to the other headphones in the Bluedio's lineup. They're incredibly well-built and durable for their price range and they block noise fairly well thanks to their decent noise cancellation. Unfortunately, they have the highest latency that we've measured so they should strictly be used for listening to music. They will be too out of sync when watching videos unless you use them wired, which is not ideal. Bluedio is a growing mid-range brand with unique and affordable headphones. They have some pricier models for different use cases, but their main attraction is cheap wireless headphones that offer unique features like multiple drivers or onboard storage. This makes them unique in their price range. However, they do not have the best sound, and some of their designs are not really practical, comfortable or stylish enough to use as your daily headphones. Discover our recommendations for the best Wireless Bluetooth Headphones.